Exp Charts & Info can be found here! - Added Weapons, Medals per Game, and XP Gained. CSR Population Breakdown New Feature! After playing over one-hundred games of Warzone and opening up a ton of REQ Packs, I found myself wondering just what some of these special weapons are capable of, and what exactly makes them so special. Looking on the web for a guide of sorts, I simply couldn't find a comprehensive list to answer my curiosity, so here begins a guide to each weapon. Own one of the weapons that are missing information? Is something wrong? Please provide us the information in a post! /u/SmartAlec13 from /r/halo requested we add CSR ranks within your CSR designation. So we did! 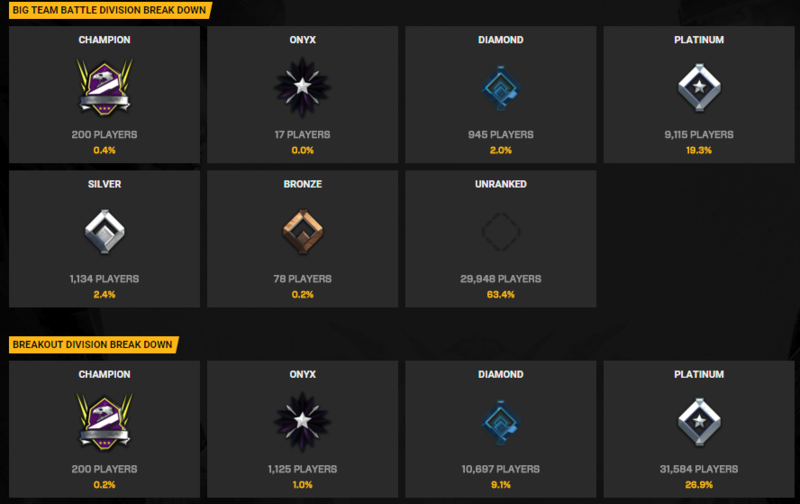 Check out your playlist page to see how you rank up within your Champion, Onyx, Diamond, Silver..etc tier. For the top two, it will be ordered by CSR. For the rest, the ranking is done by Tier, then Win %. Enjoy! 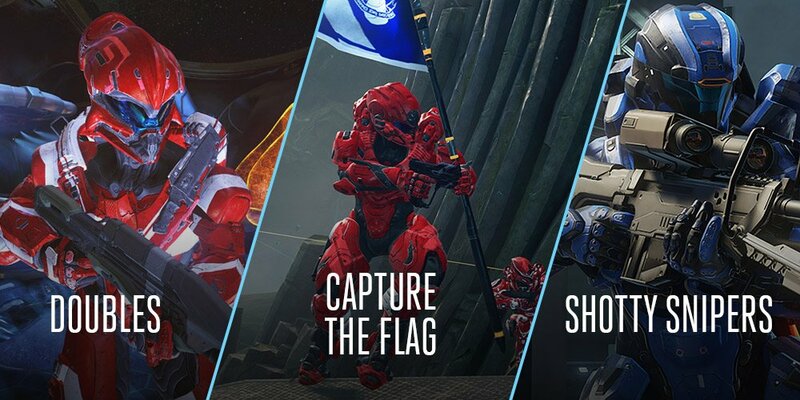 Each weekend, 343i are giving you the option to vote on which new or returning playlists you want to see in matchmaking. Each time a new mode is introduced, it’ll earn the right to be a poll option for two weeks, win or lose. That said, Shotty Snipers is once again a poll option in this week’s poll. However, due to community request, a serious contender will also be an option for the next two weeks – Doubles. As a reminder, the most popular playlists have the possibility of becoming a permanent offering in the matchmaking lineup. Over the last week we have updated the site with some more stats, here is a run down of what has been added. We want more feedback from the community! Got a request? Please let us know. The latest weekly update form 343 dropped yesterday with information about upcoming playlist additions and changes to the exising ones. Weekend Playlist Updates and Map Additions! 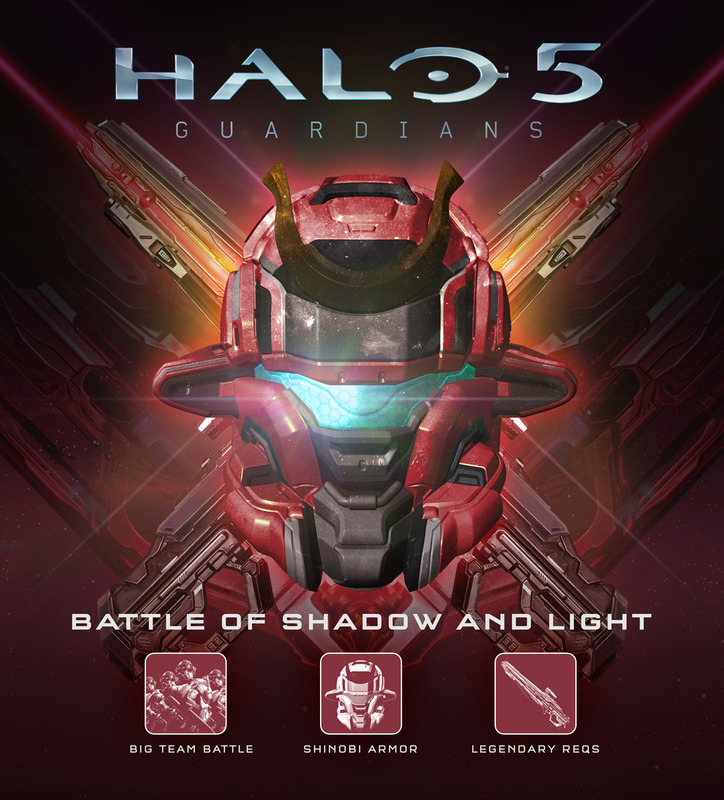 While the 343i Weekly Update won't be posted until later today, Bravo from 343i decided to give us a little taste of what's to come this weekend and in the near future a bit early. Secondly, in order to keep playlists fresh and to combat the seemingly all too common reaction of "What? We just played this map!," Bravo went into detail about some map rotation updates. Click below to read the full list!